So, now we know each blog post requires 3 to 4 hours to write and publish. The next question is how often should you be publishing blog posts? 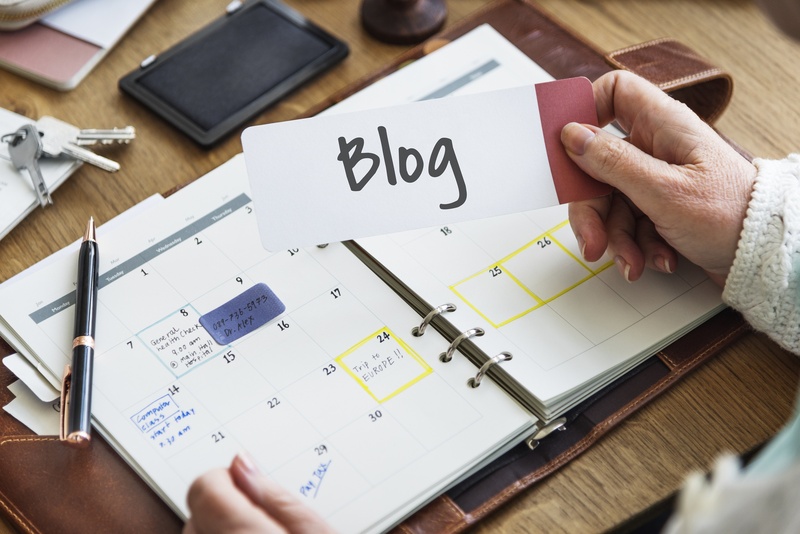 If the goal of blogging is to attract site traffic by providing content of value, how many blog per week or month does it take to accomplish that goal? Studies show that companies who blog 3 to 4 times a month saw the same amount of traffic as companies that blog 0 to 2 times a month. 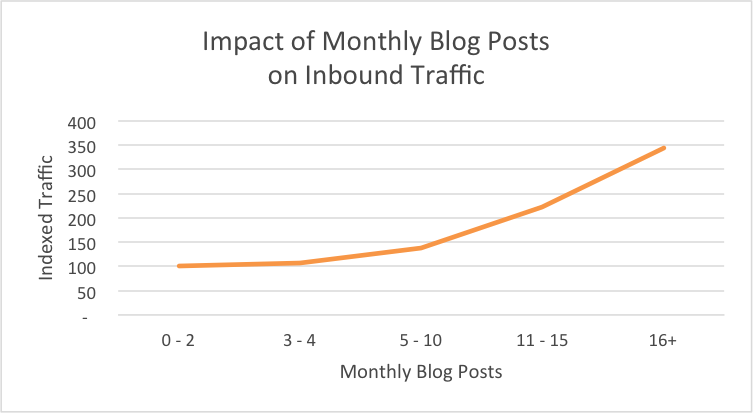 Companies who blog 11 to 15 times a month saw 2.5 times as much traffic while companies who blog 16 or more times a month saw 3.5 times the traffic. While it is probably obvious that the more content you produce, the more traffic you will get, the key fact to take away from this is that blogging 4 times a month produces the exact same amount of traffic as not blogging at all. In other words, it's a waste of time. Looking at this chart, we can see that the belief that the very bare minimum a company should be publishing blog posts is once a week is false. To truly see a return on the time invested in writing blog posts, a company should be posting 2 to 3 times a week at minimum. If you post once a week, you are spending approximately 16 hours a month creating blog posts but you will see little to no increase in site traffic. If you post three times a week, you will be spending approximately 48 hours a month creating blog posts. However, you will also be seeing over double the amount of traffic to your site, which also will double your potential for generating more leads and will help increase your website search and SEO ranking. The next question that needs to be asked is what does all this mean for my business? If I am dedicating 48 hours a month to blog creation and development, what will my business be getting in return? 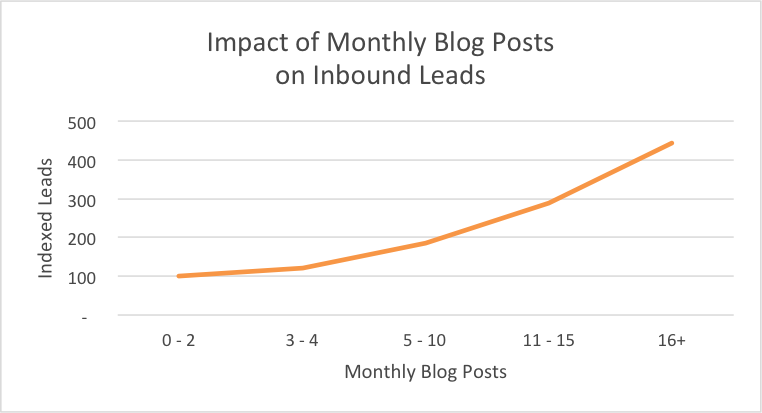 Aside from the increased site traffic, companies who publish blogs more frequently saw a significant increase in marketing leads generated from the posts. They also saw additional traffic generated from old posts. If the content in a post that was not recently published is still valuable and relevant, it continues to generate traffic for a site. The difference in leads generated between companies who published 0 to 4 posts a week compared to companies who published 11 to 15 posts a week was almost 3 times as much, while companies who published 16 or more times a week saw 4.5 times the amount of leads. For example, let's say you were generating one marketing lead per month by posting one blog per week. That’s sixteen hours of time for only one lead per month. If you bumped your posting schedule up to three times per week, you could generate up to thirty leads per month. That’s approximately one lead for every 1.5 hours spent producing blog posts! Although 48 hours a month may seem like a large time commitment to spend writing and publishing blog posts, when you look at the time spent compared to leads returned, it makes much more sense to spend a larger amount of time to see a worthwhile return than less time for little to no return. Blogging is not something that can be done quickly or as an afterthought. Each blog should be well thought out with a targeted audience and marketing goal. To achieve these types of blogs, time must be invested into each post. However, the more time you spend, the greater your return will be - not only through leads generated, but also through the amount of content available to your visitors. The more valuable content you have available, whether it be old or new, the more traffic your site will see and the more leads you will be able to generate. Blogs are the gift that keeps on giving and it is well worth your invested time to produce them correctly. Are you interested in learning more about how blogging can be a part of a total inbound marketing strategy? We'd love to get started chatting with you! Request a free Marketing Assessment to begin!